The 59 meter long ro-ro ferry Bremerhaven allided with the the 95 meter long general cargo ship Fiducia on the Weser River near Blexen Roads, Germany. 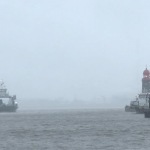 The ferry was proceeding in dense fog when it struck the anchored Fiducia. The Bremerhaven sustained significant damage to its hull. Two crew and a single passenger were injured during the incident. 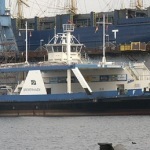 The ferry proceeded to Bremerhaven where the vessel entered a shipyard for repairs. The Fiducia sustained only slight damage and proceeded to Brake. The water police has launched an investigation into the incident. Reports state the master of the Bremerhaven had read the radar incorrectly resulting in the allision. 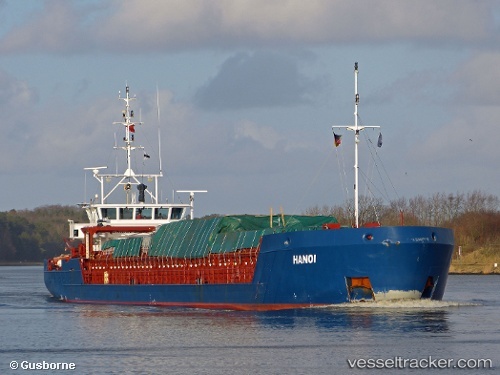 The 88 meter long general cargo ship Hanoi ran aground at the entrance of the Neuhöfer Canal in Hamburg, Germany. 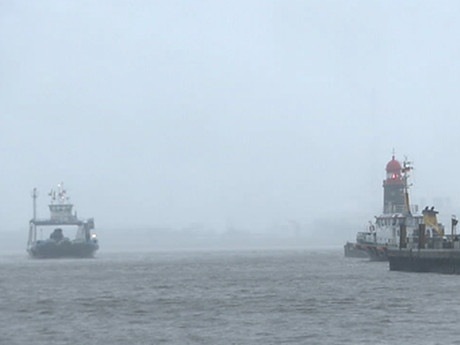 The Hanoi was proceeding from Hvide Sande in dense fog when the vessel ran onto the embankement and a sheet pile wall. The stem of the vessel sustained damage 4 meters along the starboard and 3 meters along the port side. The hull at the forepeak suffered a crack and water ingress. The vessel’s pump was able to contain the flooding. The piling also sustained some damage. No reports of injuries or pollution released. The water police detained the Hanoi and launched an investigation into the incident.